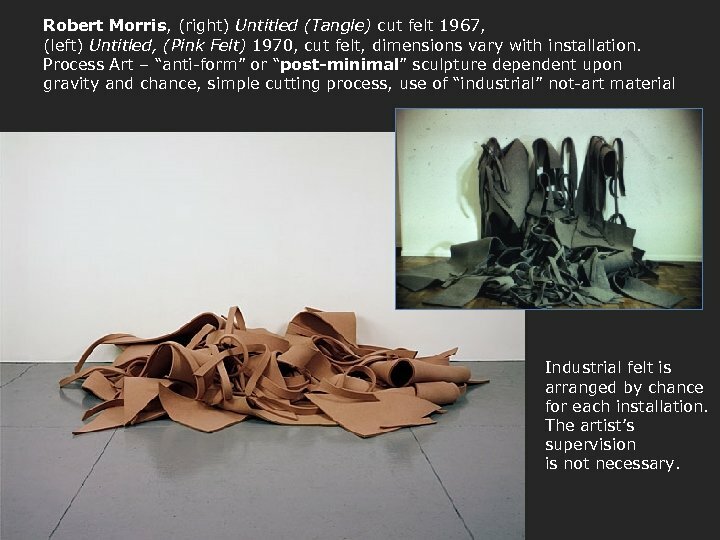 Robert Morris, (right) Untitled (Tangle) cut felt 1967, (left) Untitled, (Pink Felt) 1970, cut felt, dimensions vary with installation. 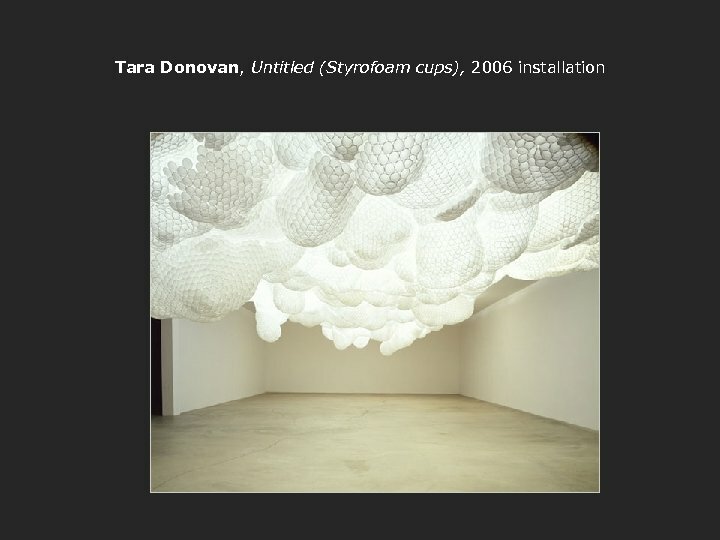 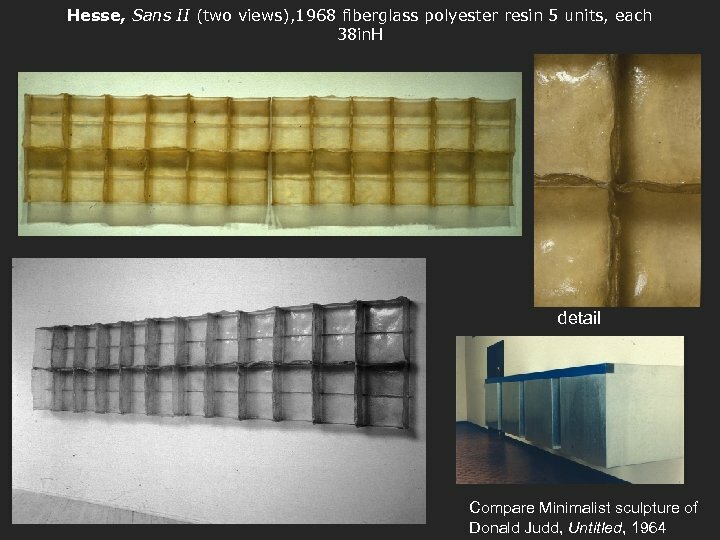 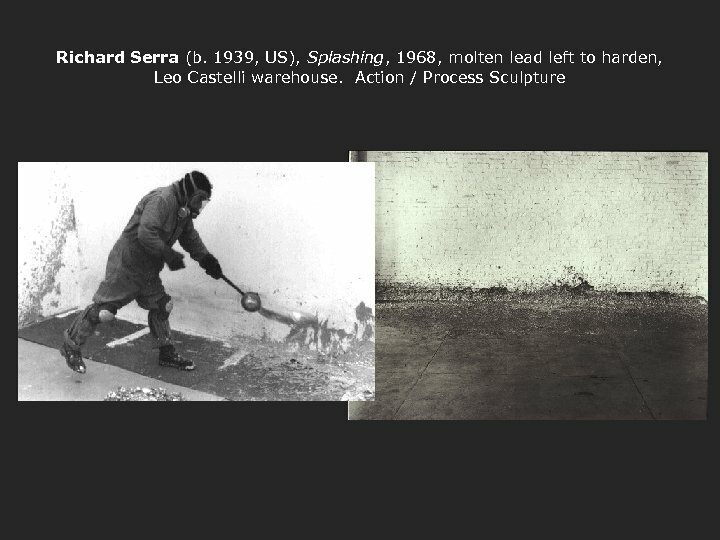 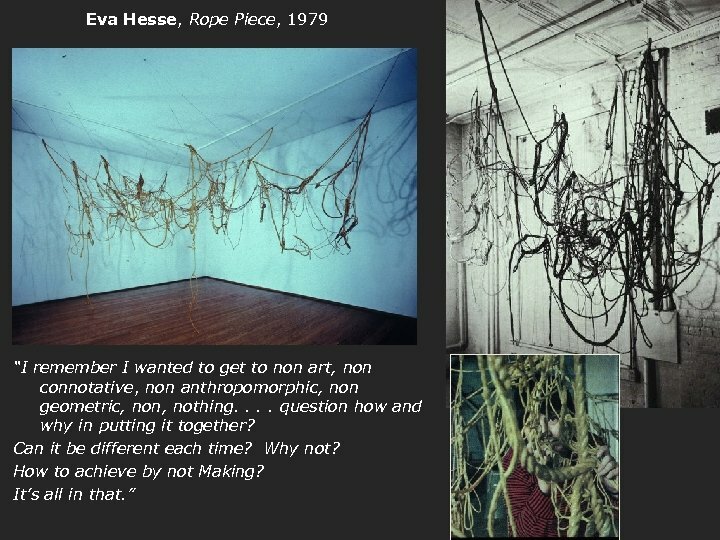 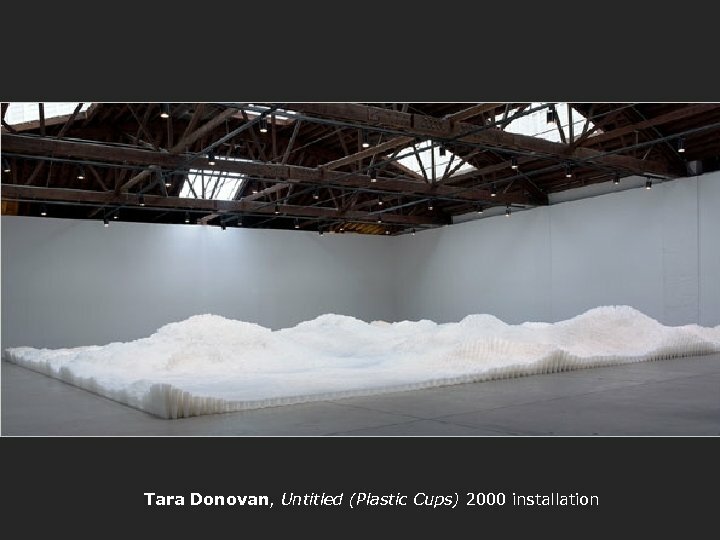 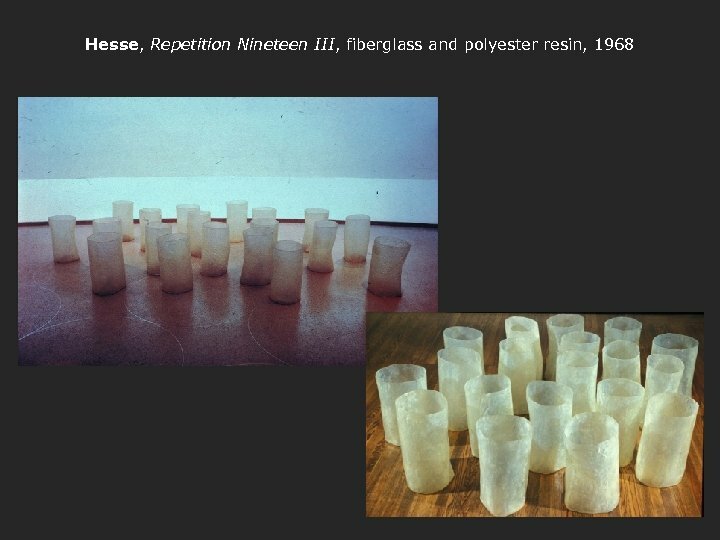 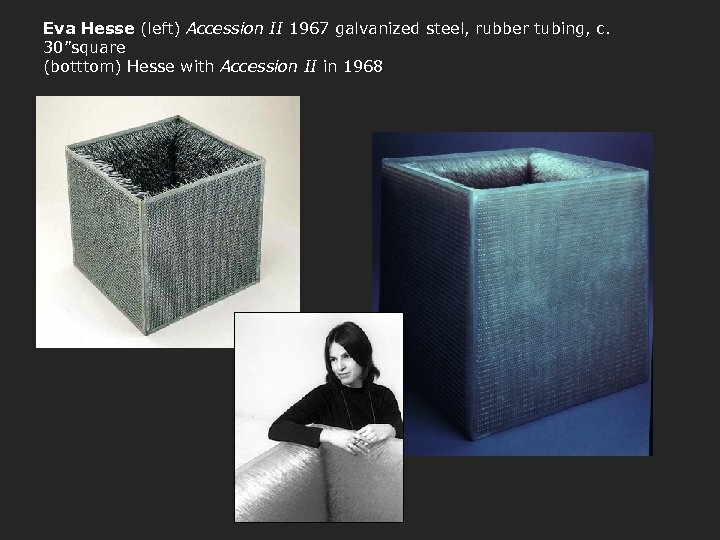 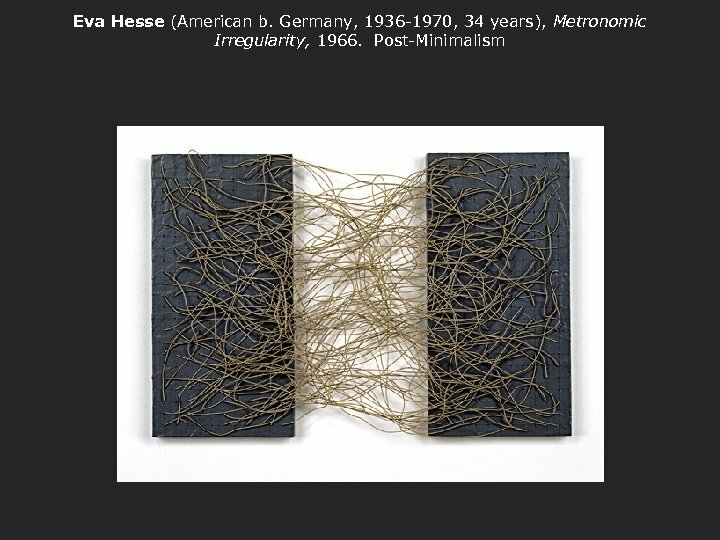 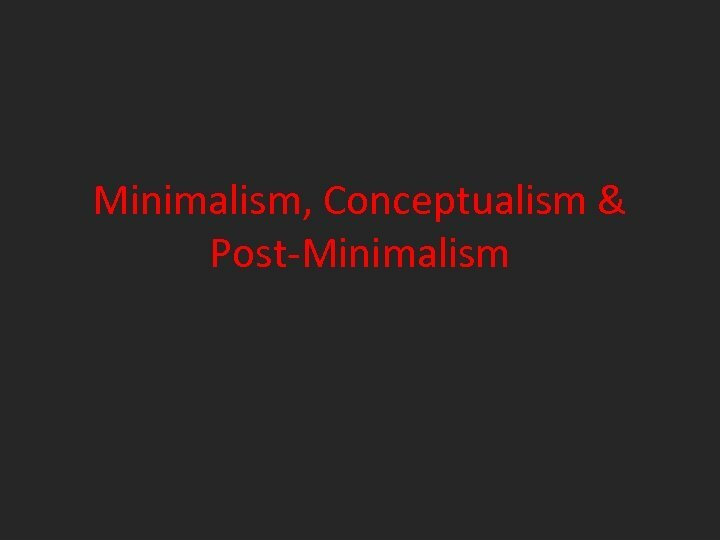 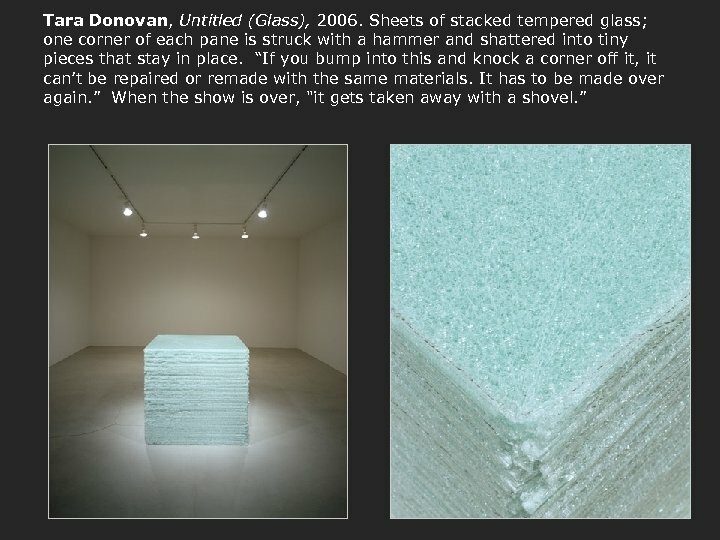 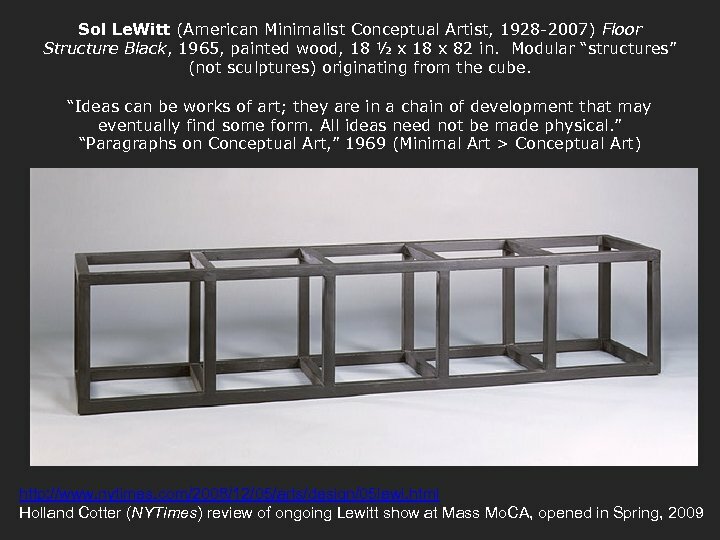 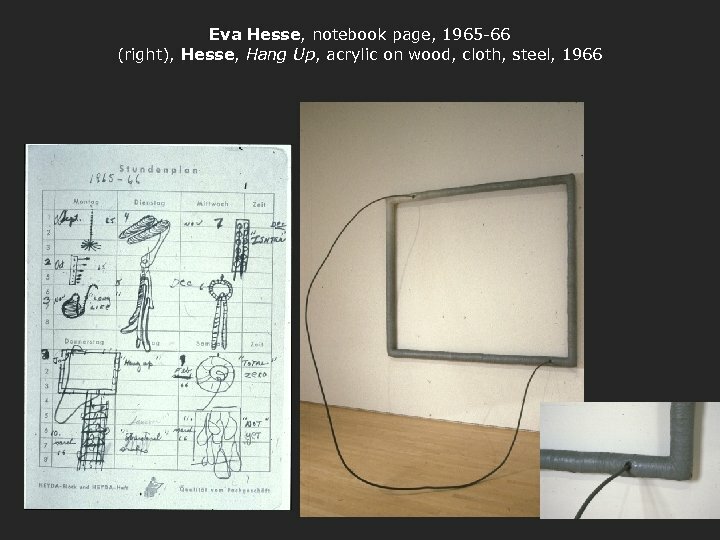 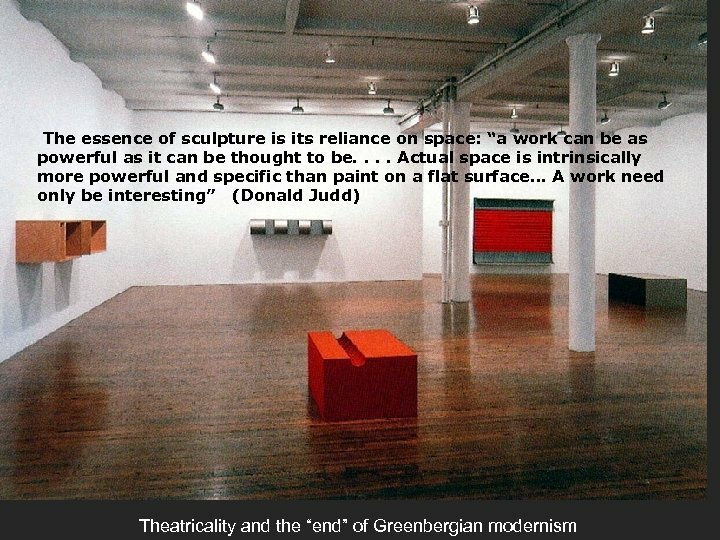 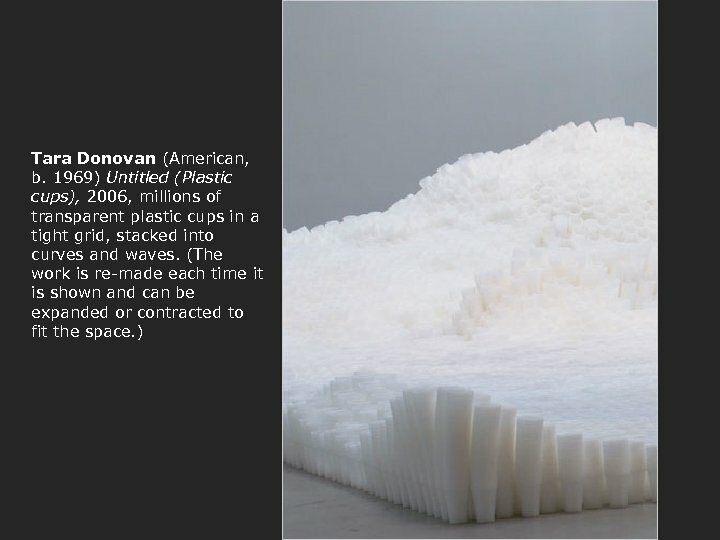 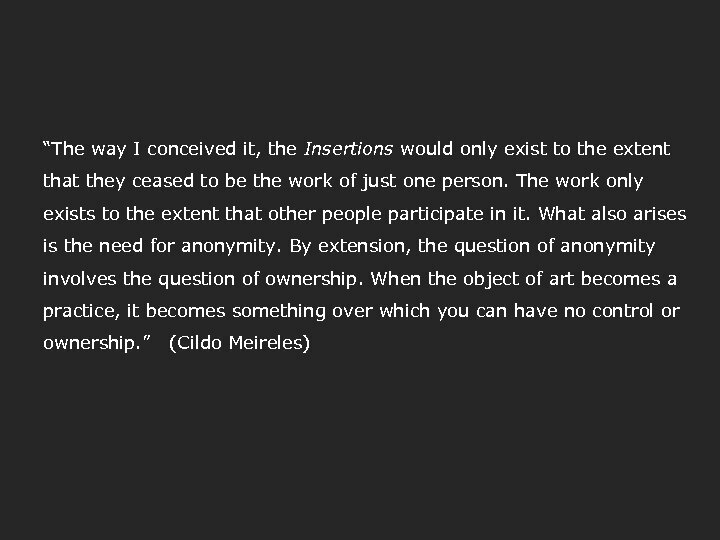 Process Art – “anti-form” or “post-minimal” sculpture dependent upon gravity and chance, simple cutting process, use of “industrial” not-art material Industrial felt is arranged by chance for each installation. 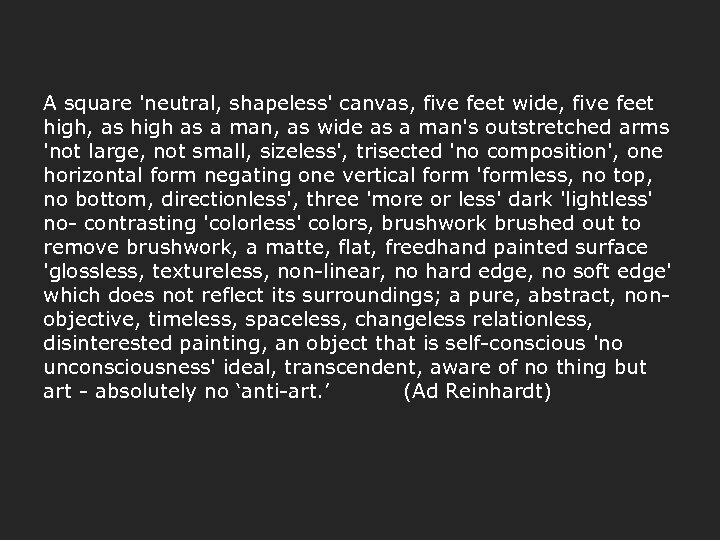 The artist’s supervision is not necessary. 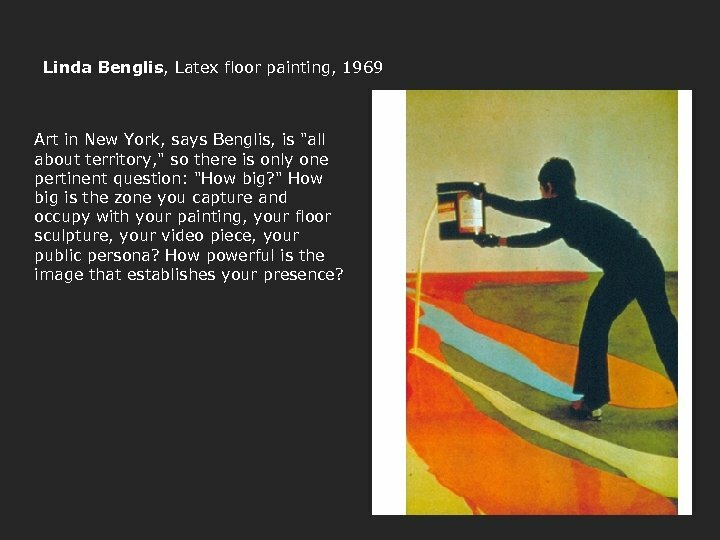 Linda Benglis, Latex floor painting, 1969 Art in New York, says Benglis, is "all about territory, " so there is only one pertinent question: "How big? " 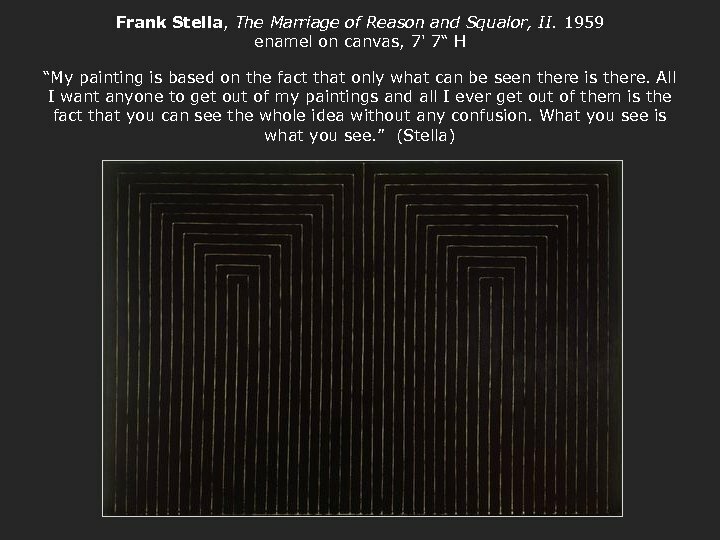 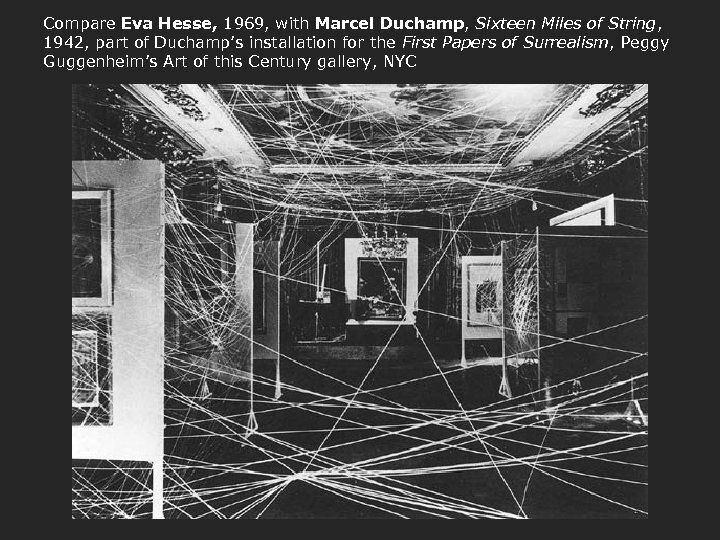 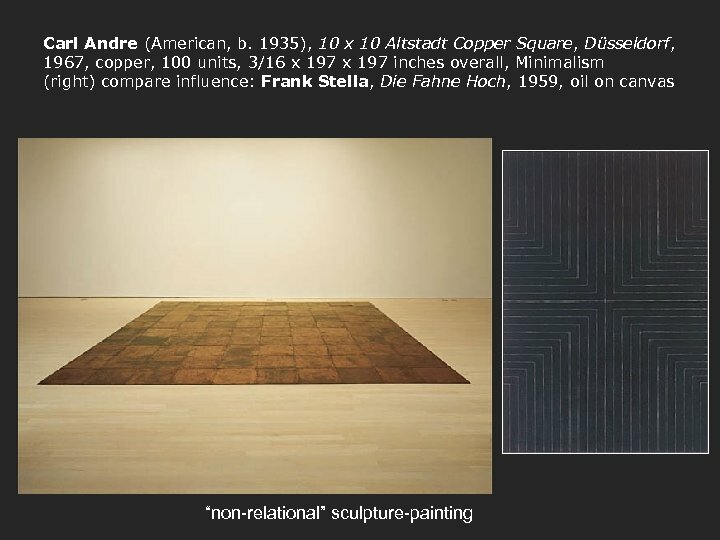 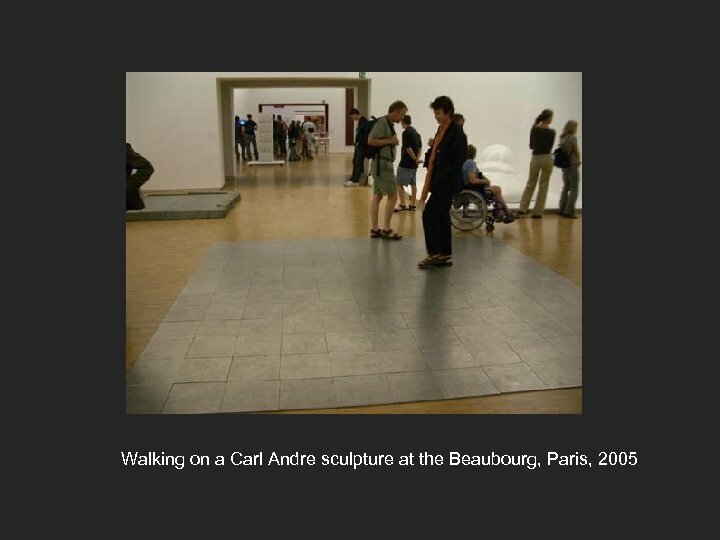 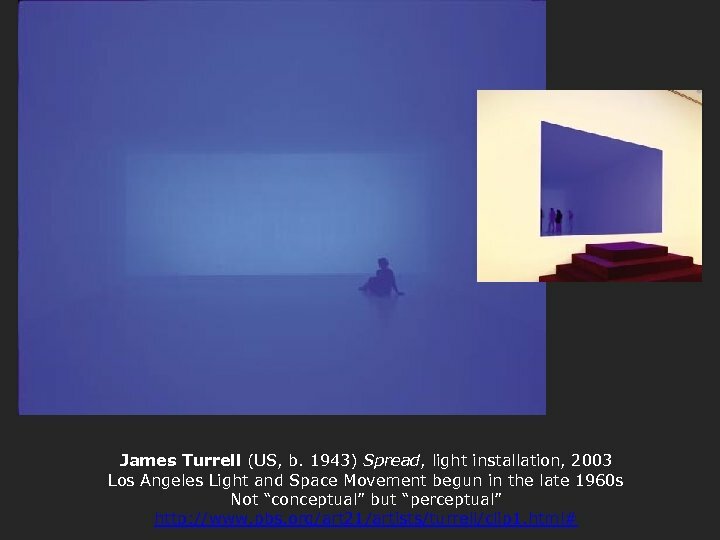 How big is the zone you capture and occupy with your painting, your floor sculpture, your video piece, your public persona? 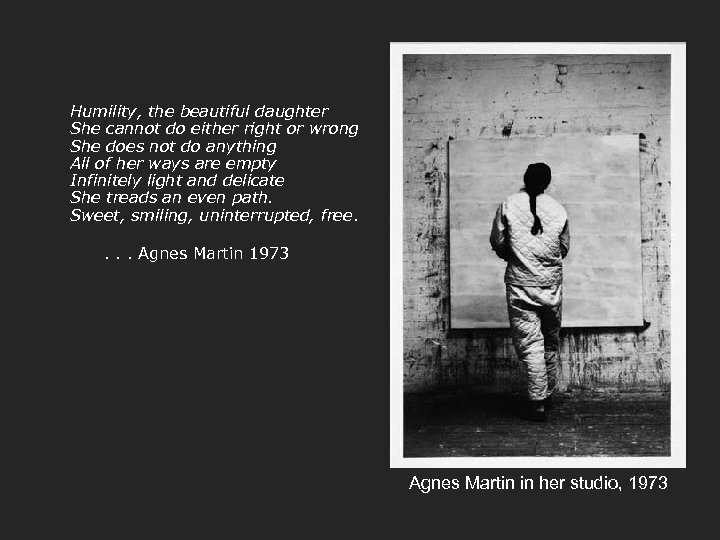 How powerful is the image that establishes your presence? 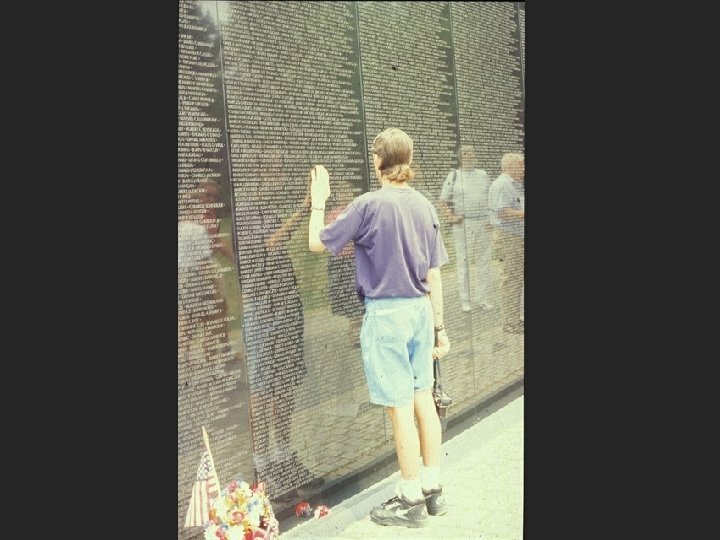 Maya Lin, Vietnam Veterans Memorial, polished black granite, 1982, Washington DC. 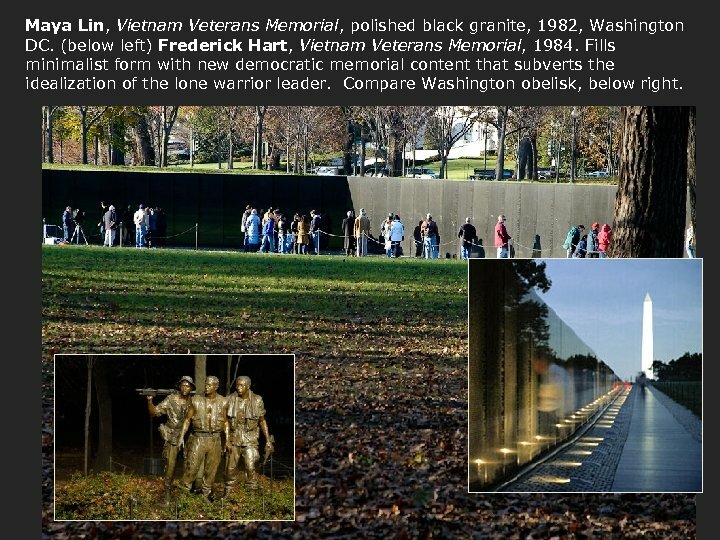 (below left) Frederick Hart, Vietnam Veterans Memorial, 1984. 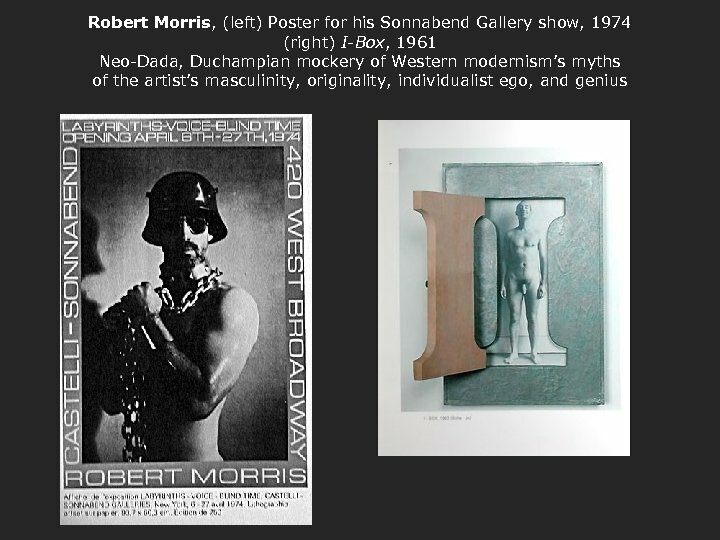 Fills minimalist form with new democratic memorial content that subverts the idealization of the lone warrior leader. 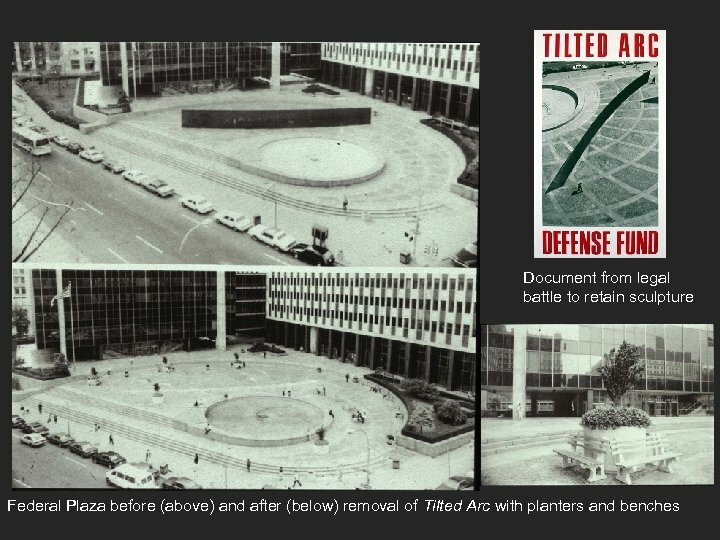 Compare Washington obelisk, below right. 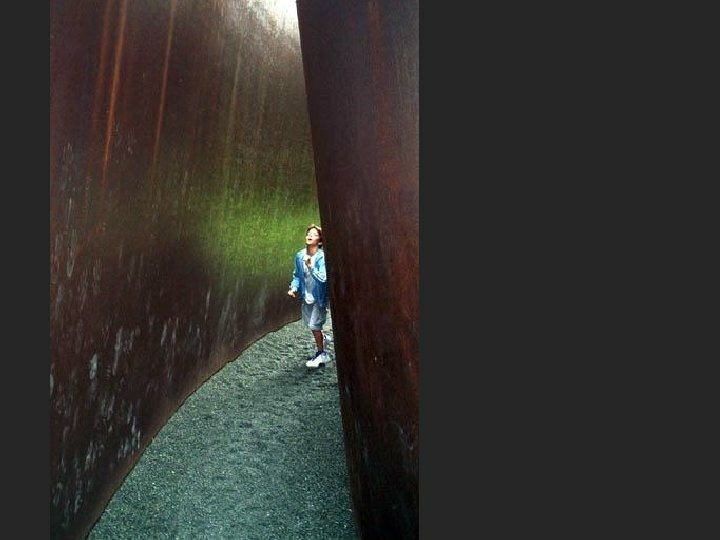 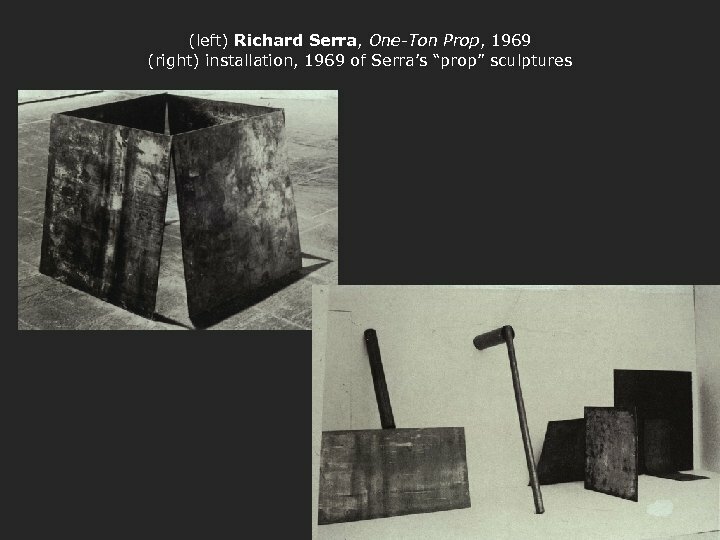 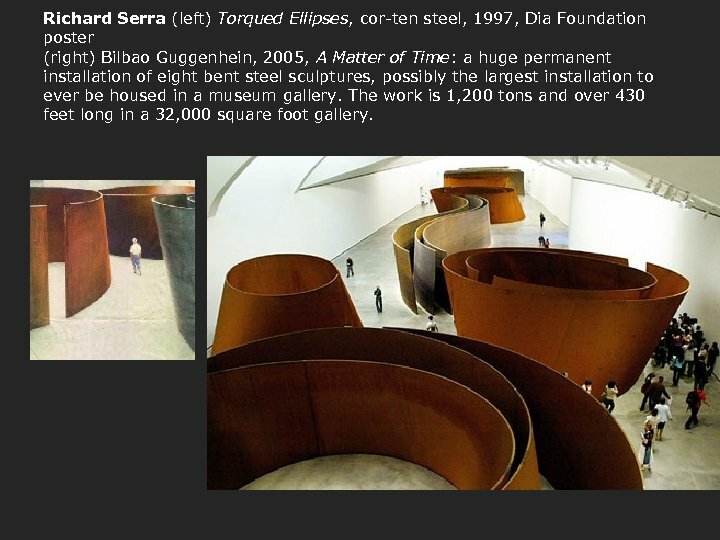 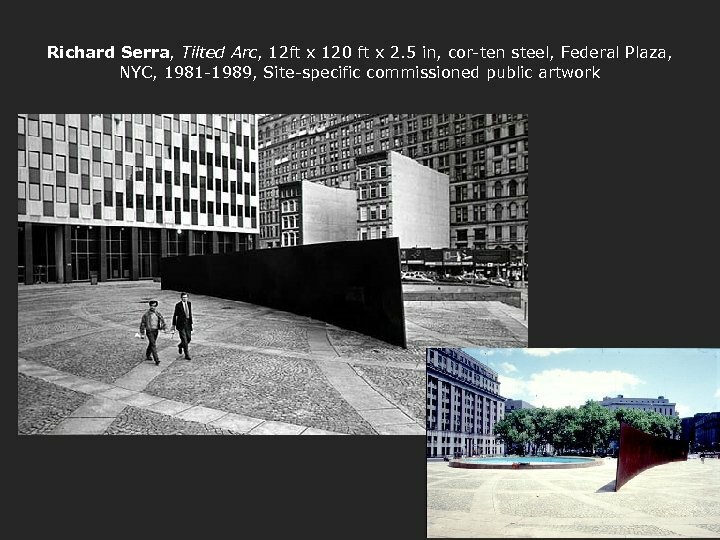 Richard Serra (left) Torqued Ellipses, cor-ten steel, 1997, Dia Foundation poster (right) Bilbao Guggenhein, 2005, A Matter of Time: a huge permanent installation of eight bent steel sculptures, possibly the largest installation to ever be housed in a museum gallery. 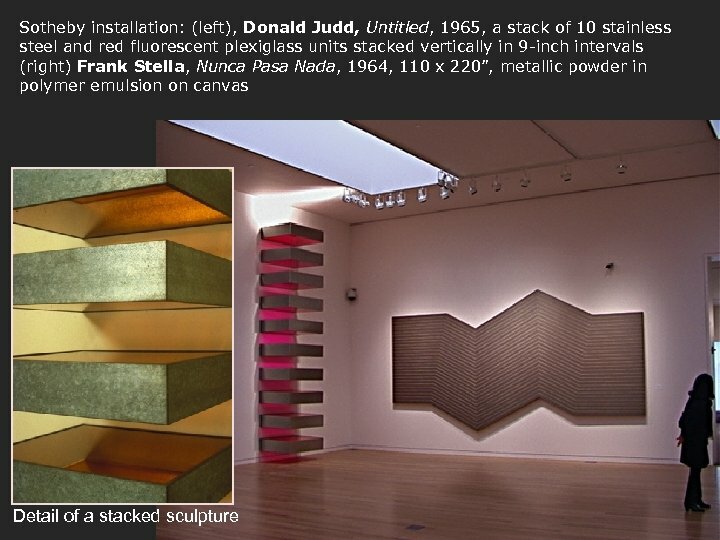 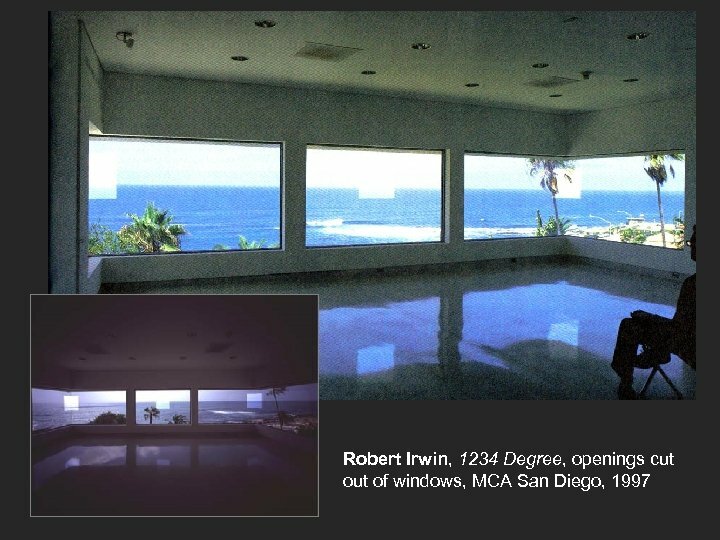 The work is 1, 200 tons and over 430 feet long in a 32, 000 square foot gallery. 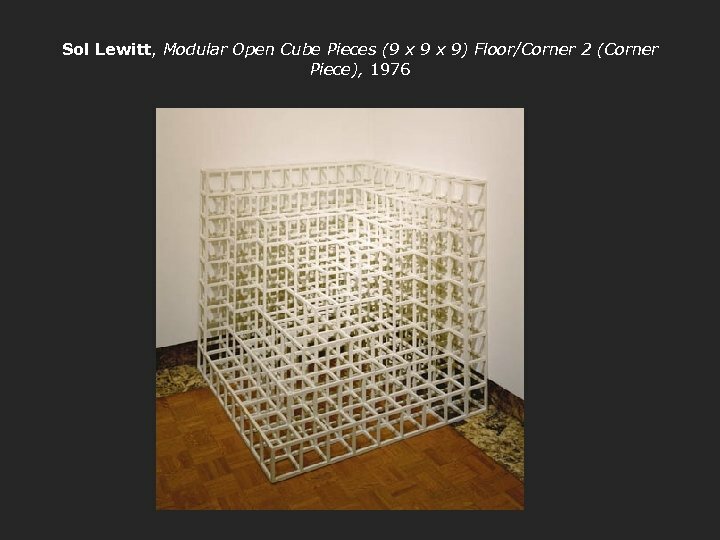 Lewitt, Wall Drawing #146, September 1972. 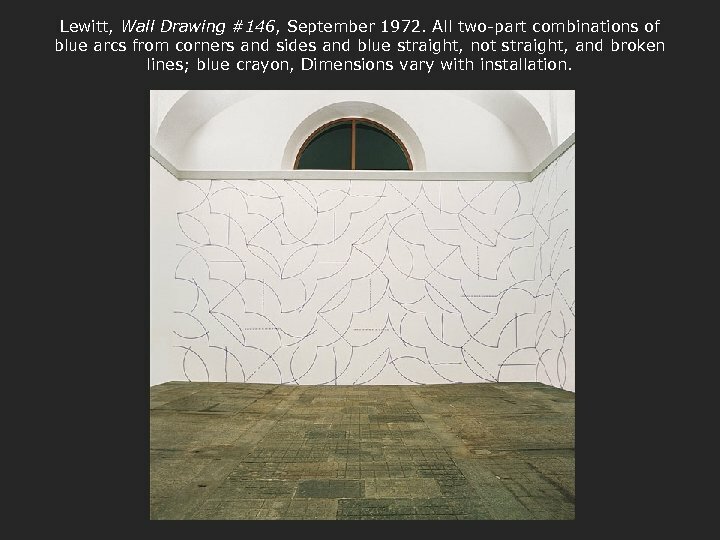 All two-part combinations of blue arcs from corners and sides and blue straight, not straight, and broken lines; blue crayon, Dimensions vary with installation. 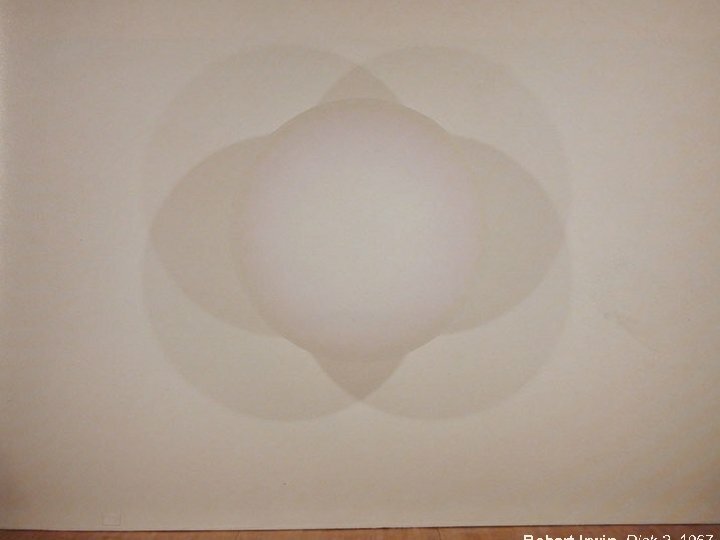 Sol Le. 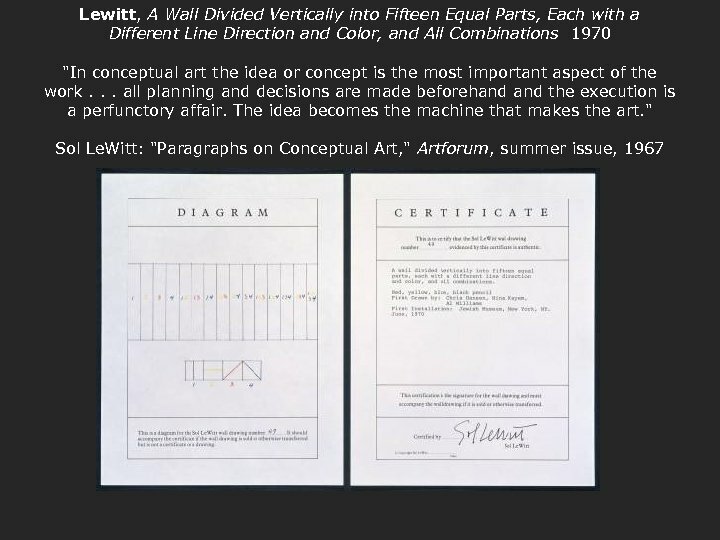 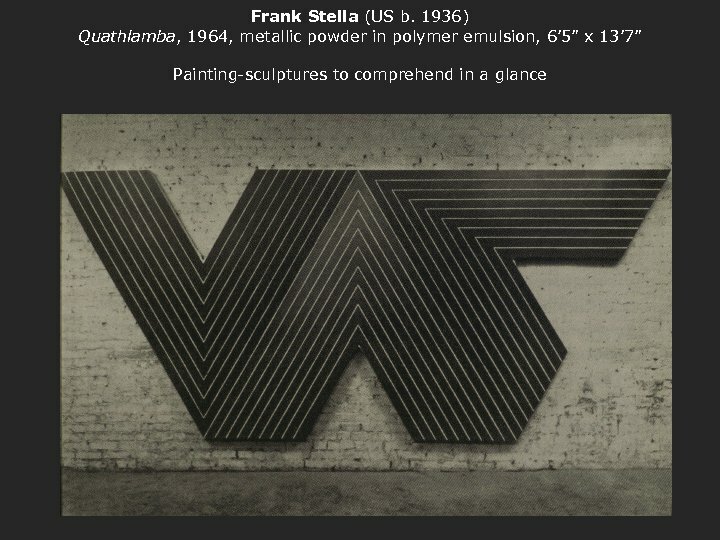 Witt, Wall Drawing No. 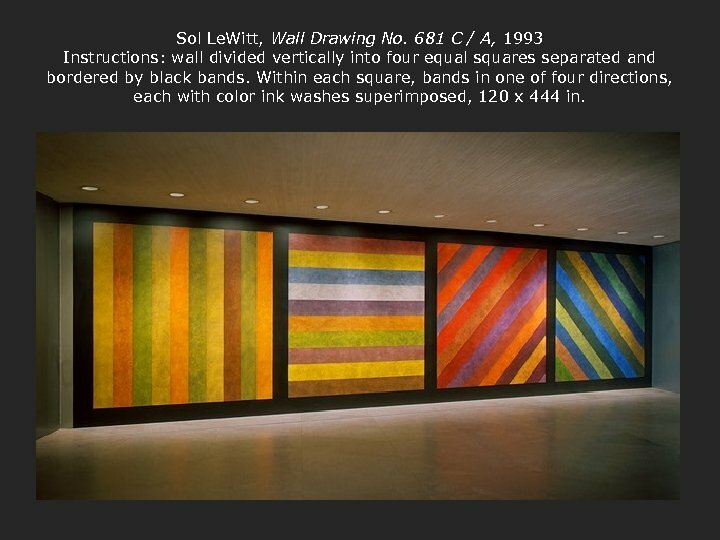 681 C / A, 1993 Instructions: wall divided vertically into four equal squares separated and bordered by black bands. 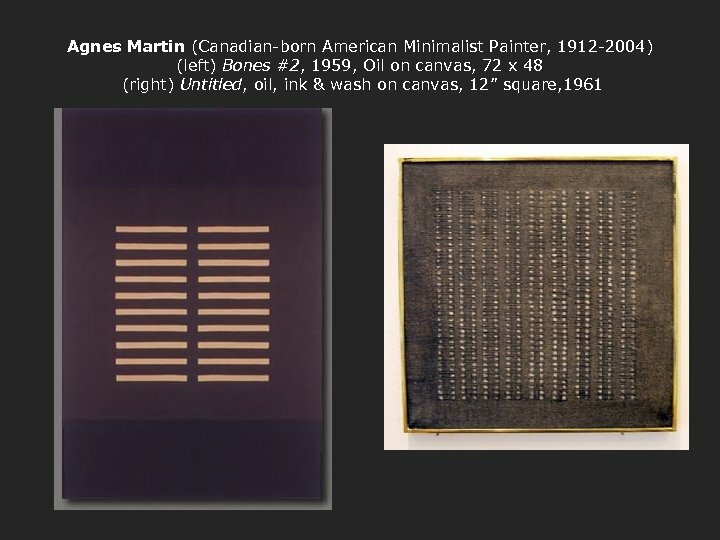 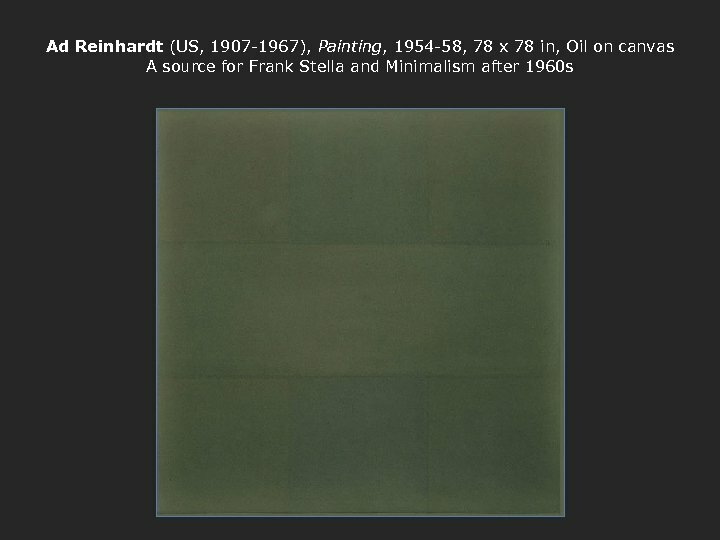 Within each square, bands in one of four directions, each with color ink washes superimposed, 120 x 444 in. 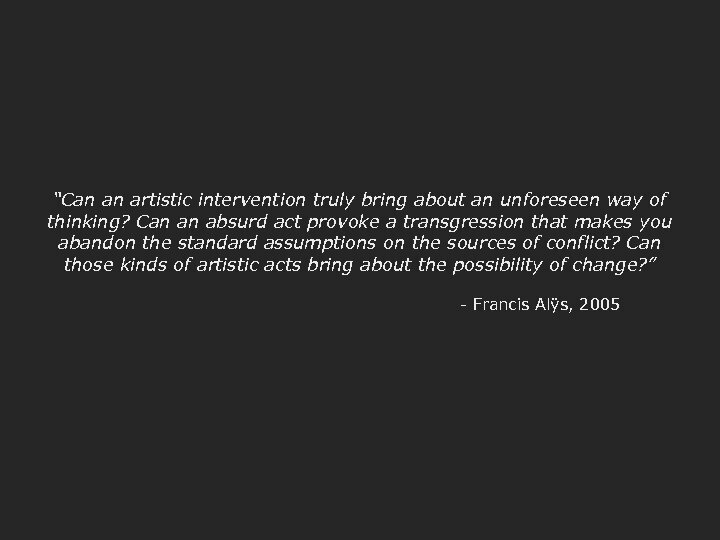 Francis Alÿs (Belgian, lives in Mexico City, b. 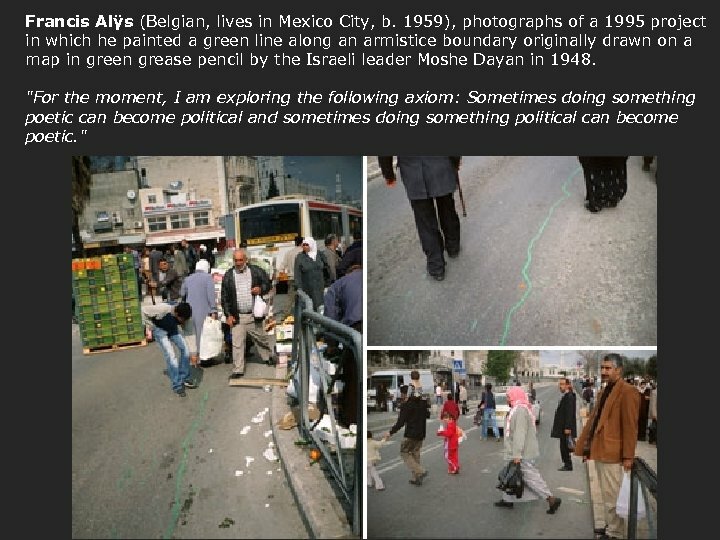 1959), photographs of a 1995 project in which he painted a green line along an armistice boundary originally drawn on a map in green grease pencil by the Israeli leader Moshe Dayan in 1948. 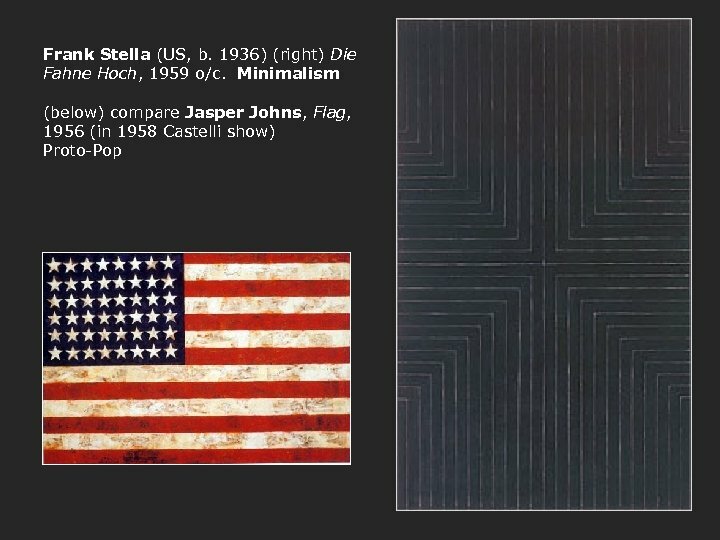 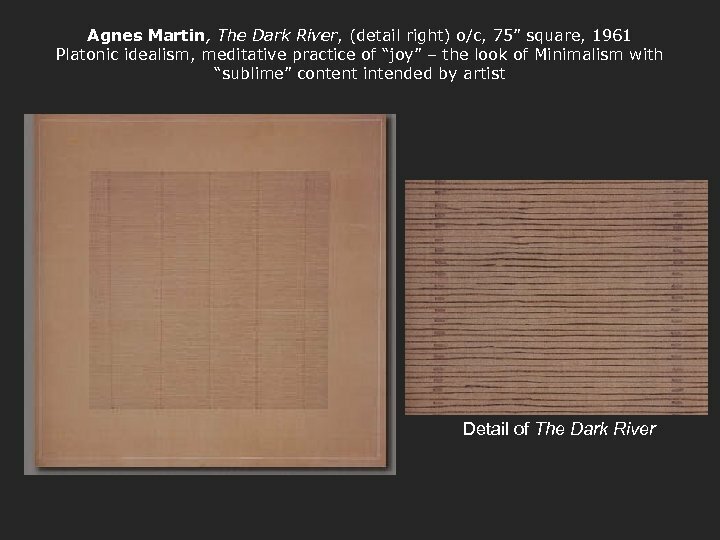 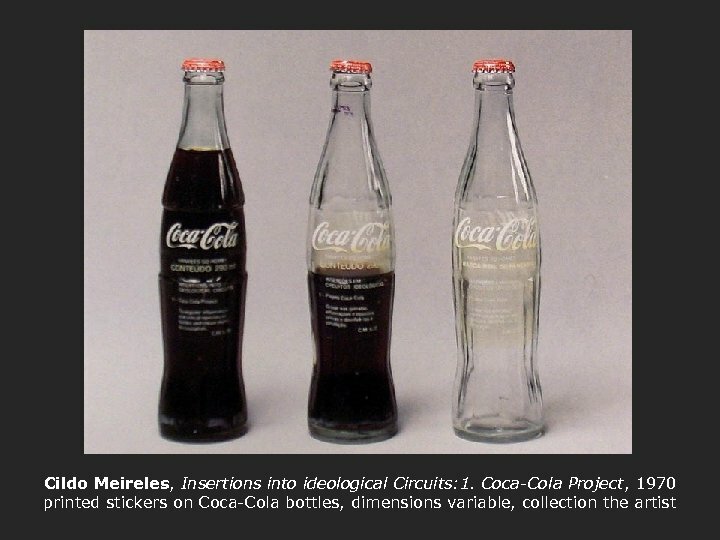 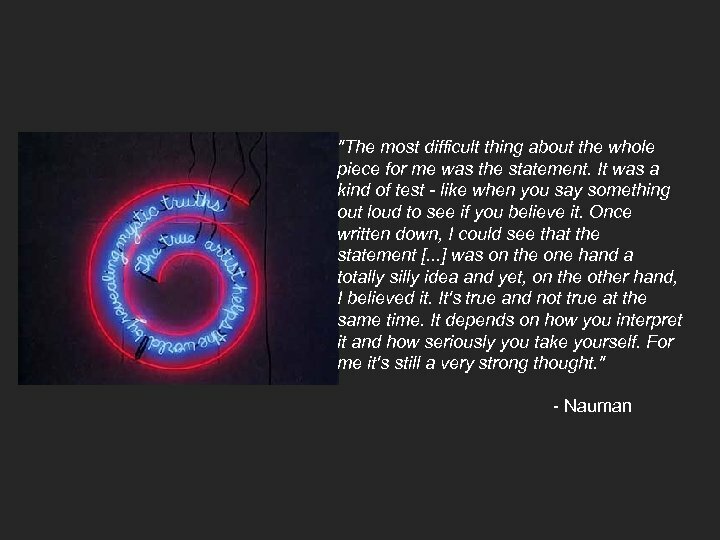 "For the moment, I am exploring the following axiom: Sometimes doing something poetic can become political and sometimes doing something political can become poetic. " 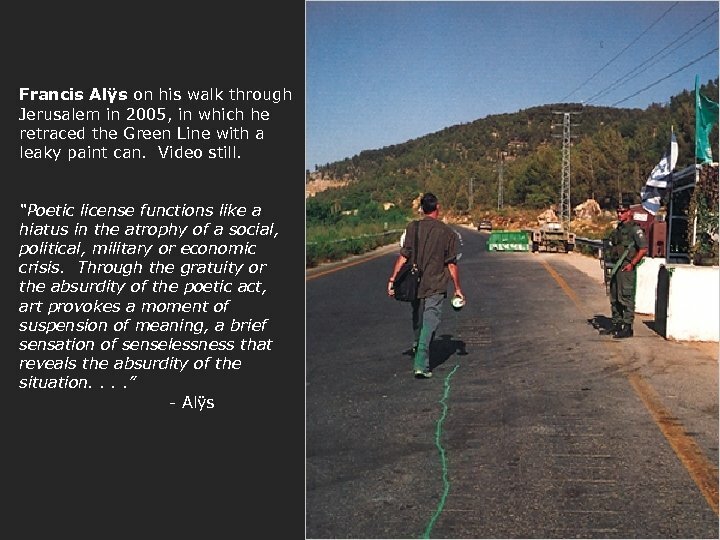 Map showing the real Green Line and the politics of Alÿs’ poetic (aesthetic) artwork, Green Line The faint green dotted line (the 'Green Line') represents the armistice line established after the 1948 Arab-Israeli War. 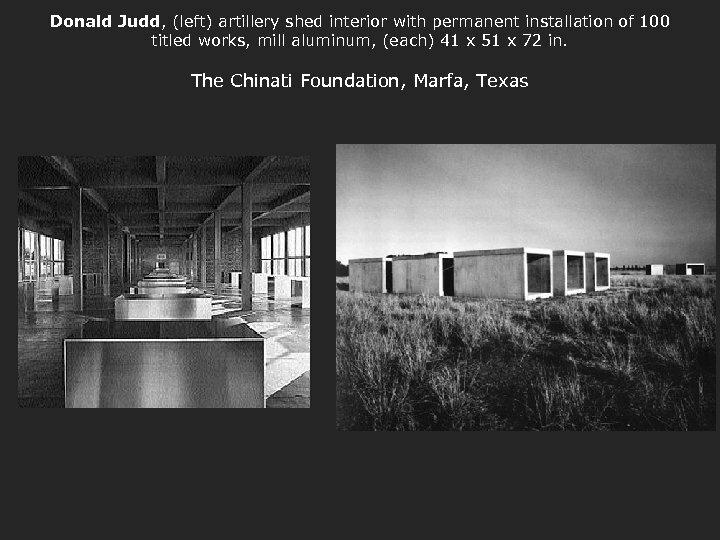 Land to the right of the line was taken by Israel in 1967, and is still occupied today. 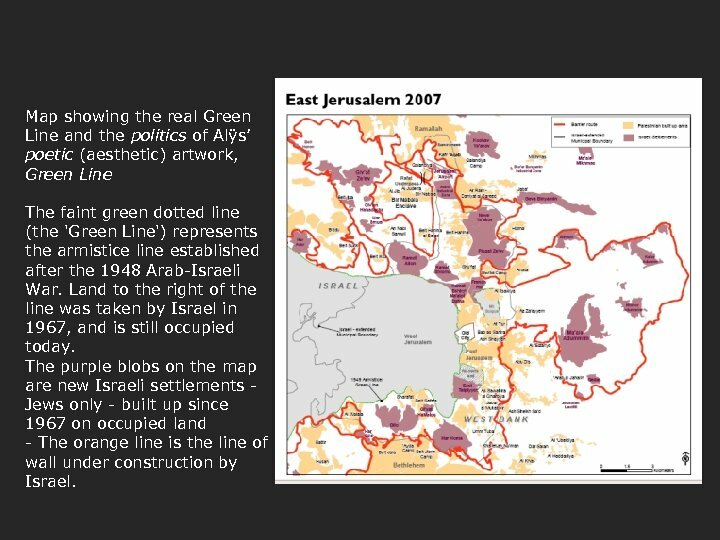 The purple blobs on the map are new Israeli settlements - Jews only - built up since 1967 on occupied land - The orange line is the line of wall under construction by Israel. 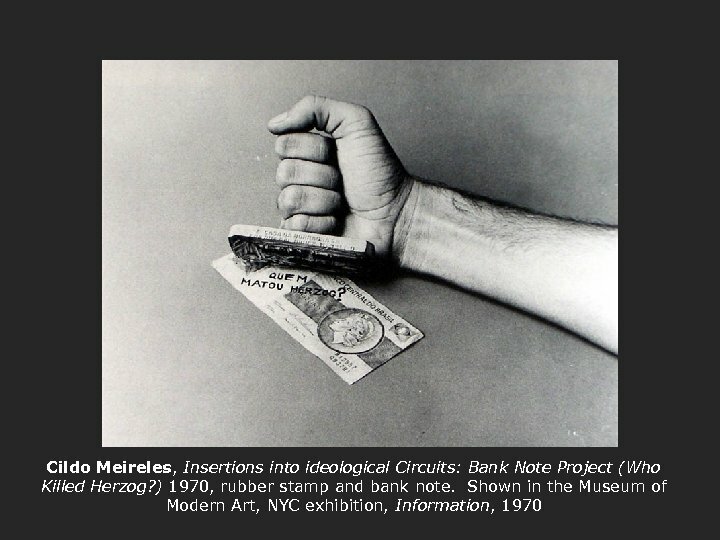 Hans Haacke (German, b. 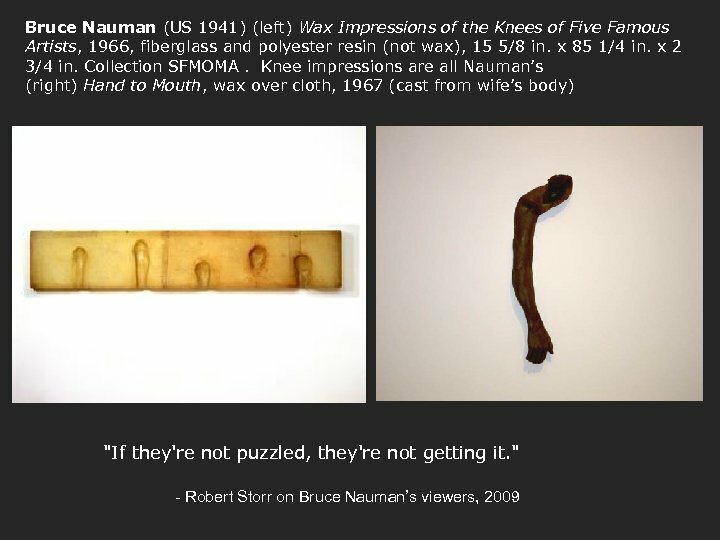 1936), Shapolsky et al. 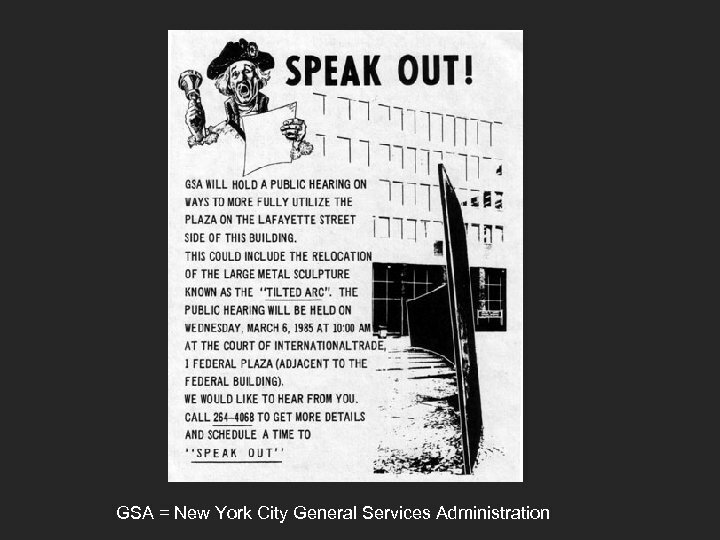 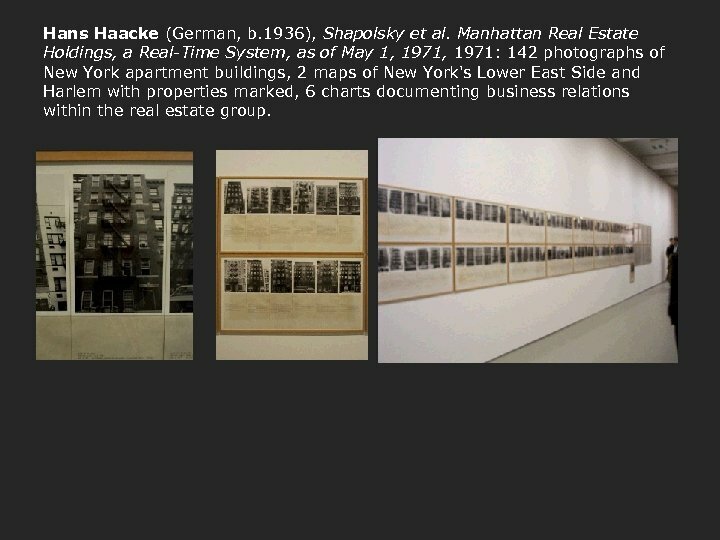 Manhattan Real Estate Holdings, a Real-Time System, as of May 1, 1971: 142 photographs of New York apartment buildings, 2 maps of New York's Lower East Side and Harlem with properties marked, 6 charts documenting business relations within the real estate group. 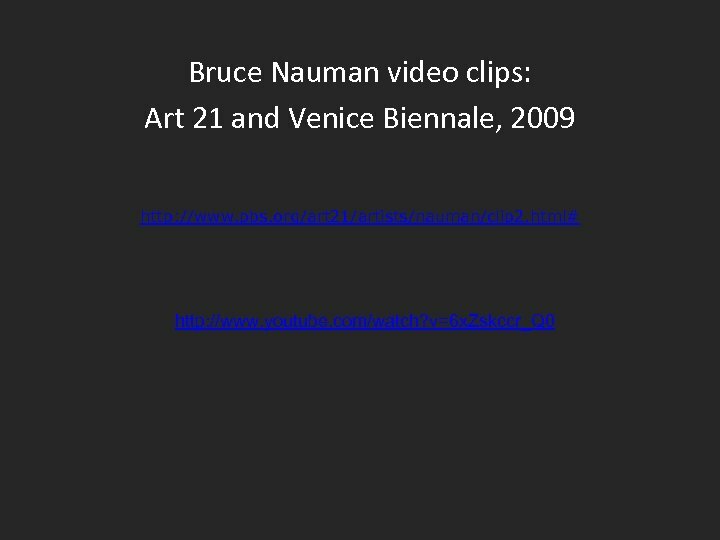 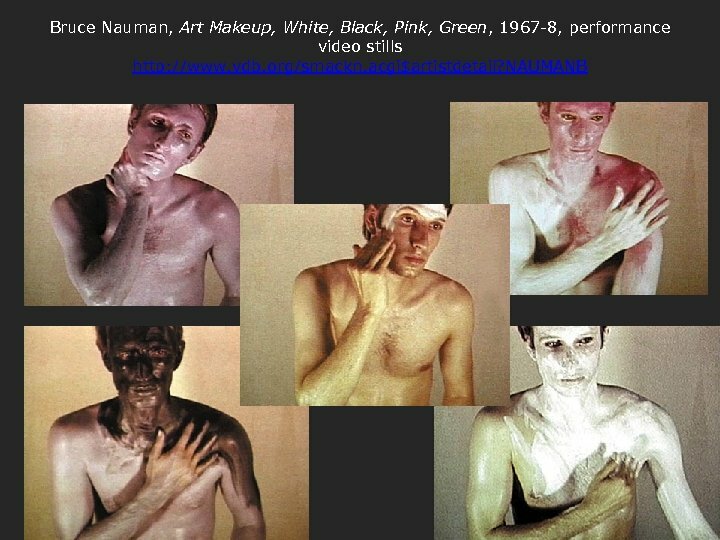 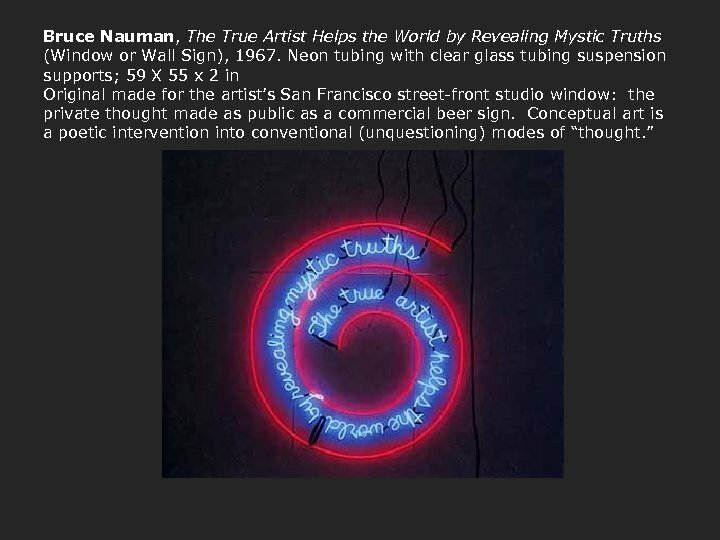 Bruce Nauman (US, b. 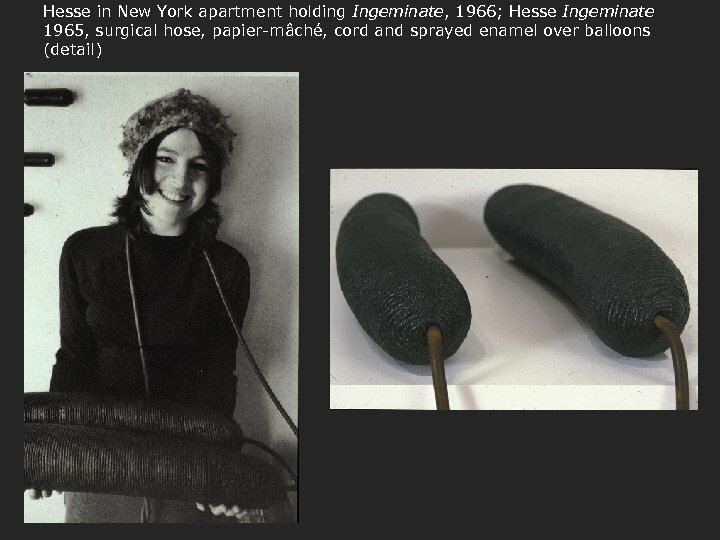 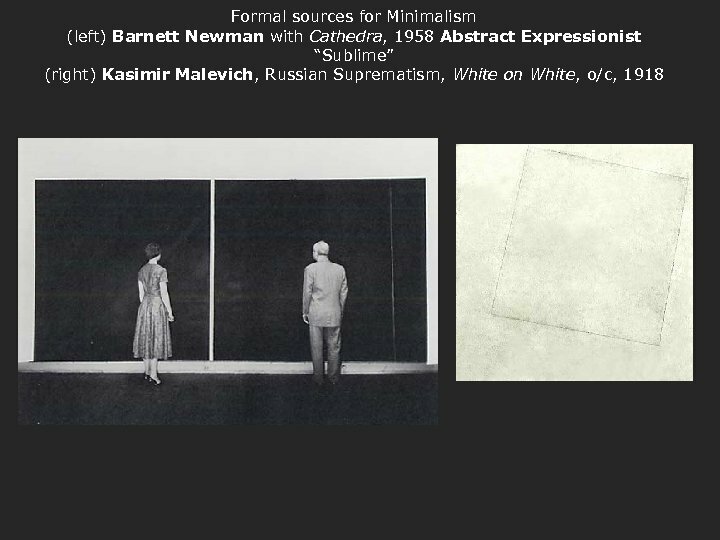 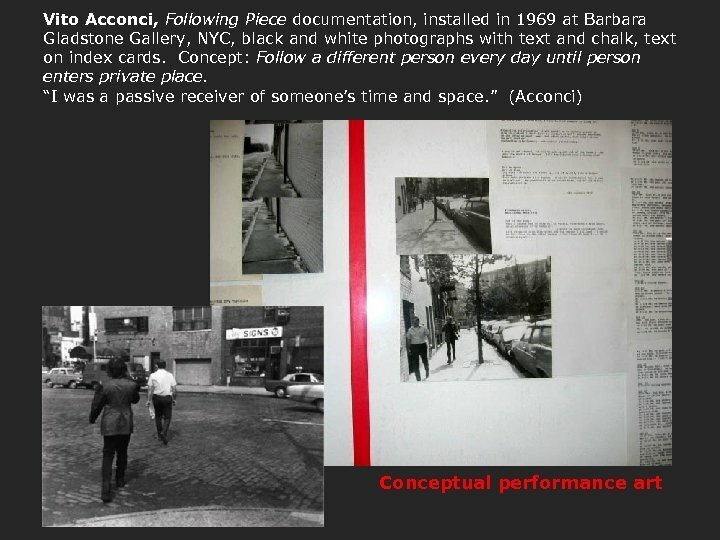 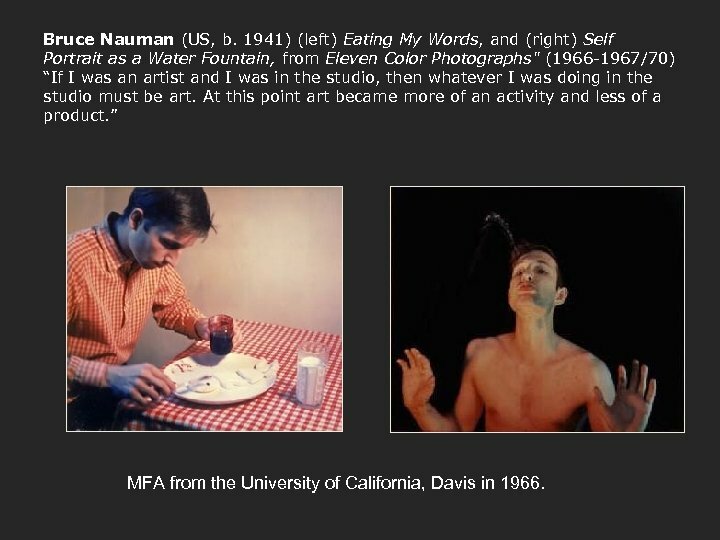 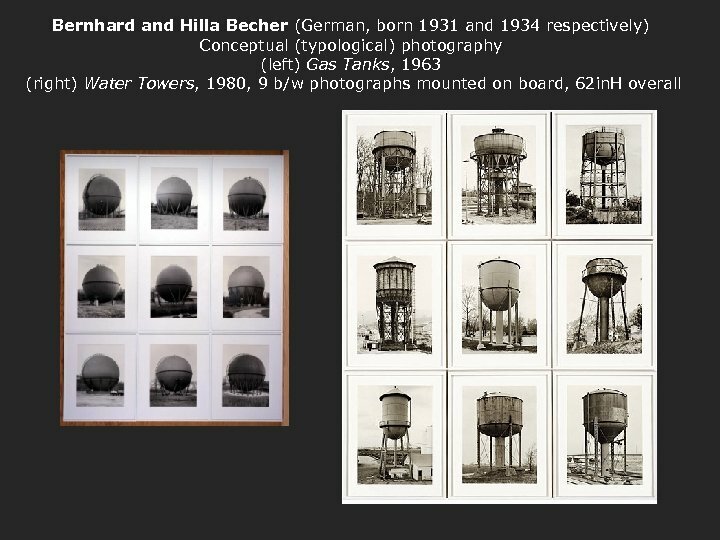 1941) (left) Eating My Words, and (right) Self Portrait as a Water Fountain, from Eleven Color Photographs" (1966 -1967/70) “If I was an artist and I was in the studio, then whatever I was doing in the studio must be art. 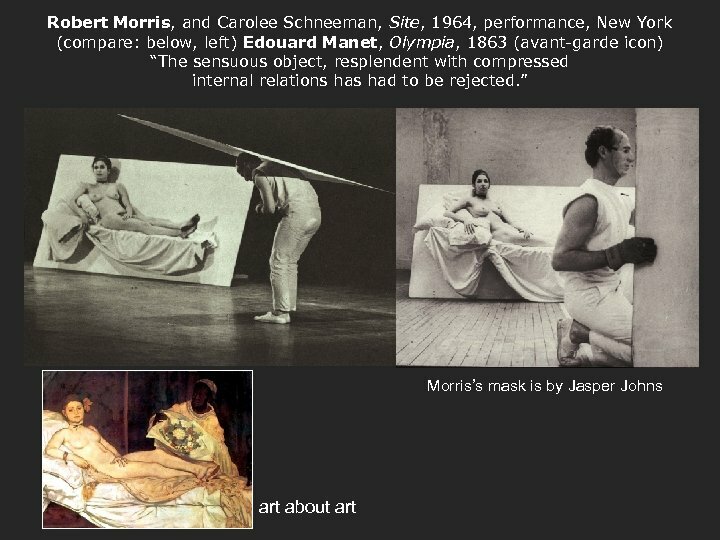 At this point art became more of an activity and less of a product. 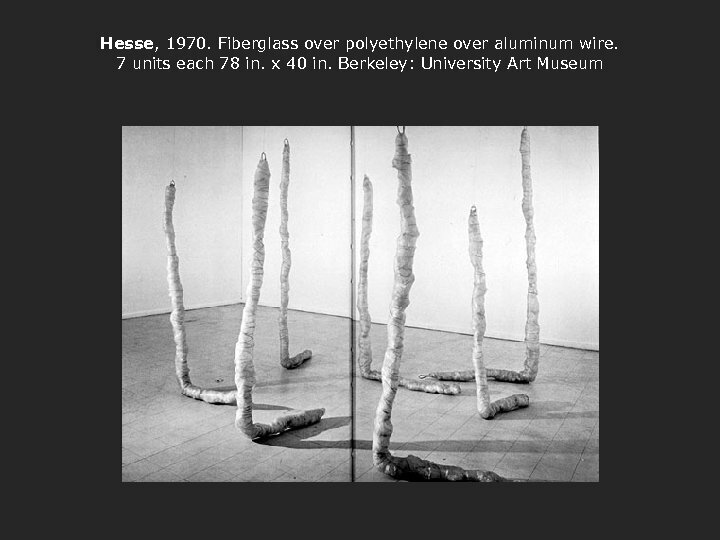 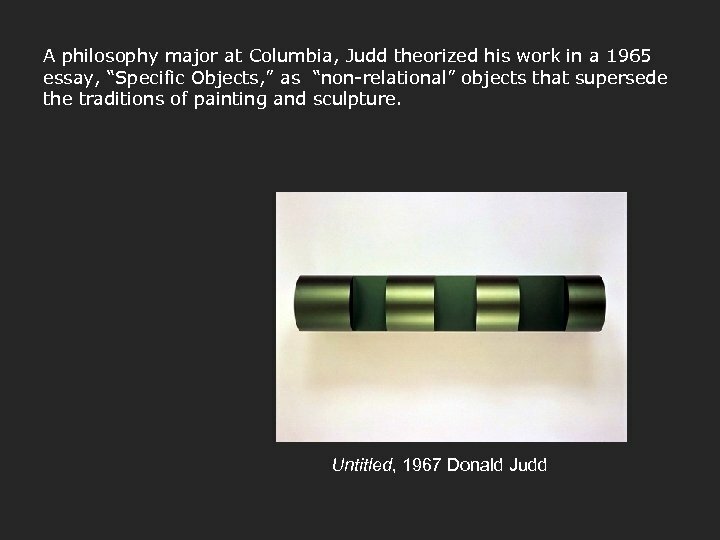 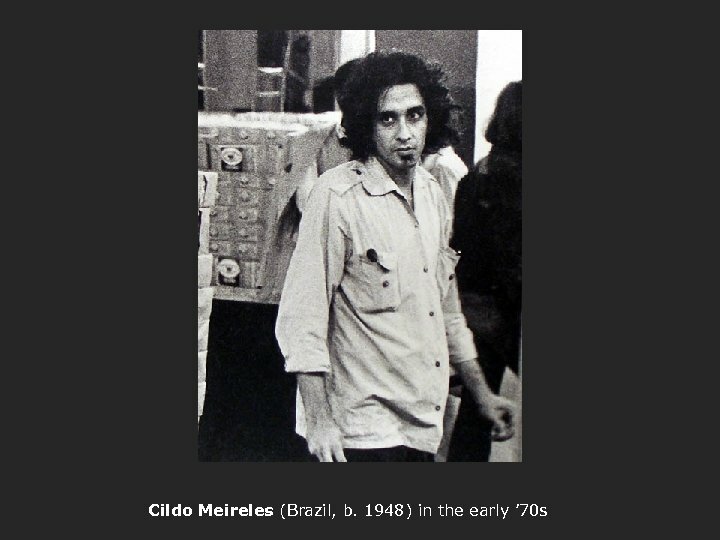 ” MFA from the University of California, Davis in 1966. 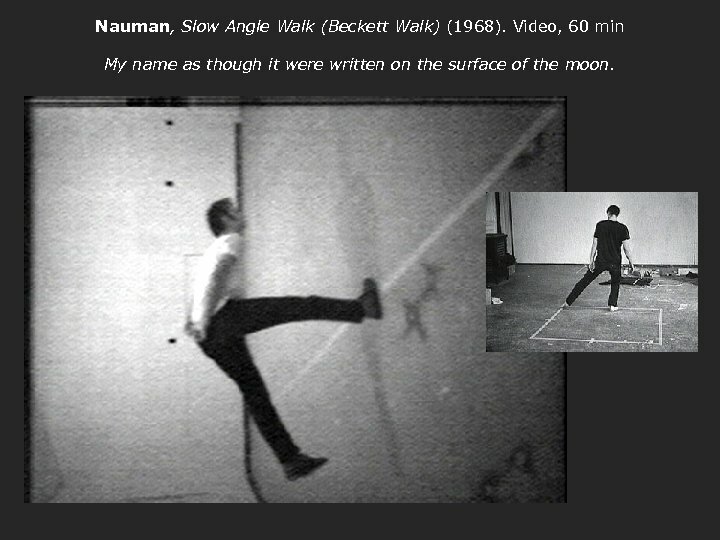 Nauman, Slow Angle Walk (Beckett Walk) (1968). 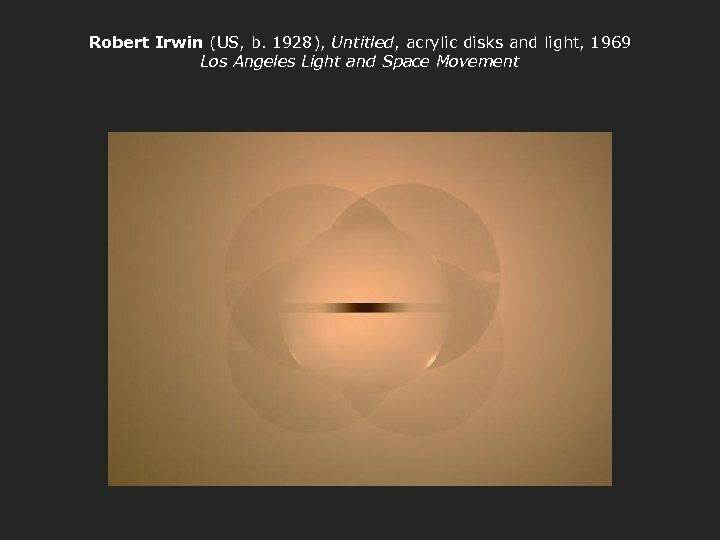 Video, 60 min My name as though it were written on the surface of the moon. 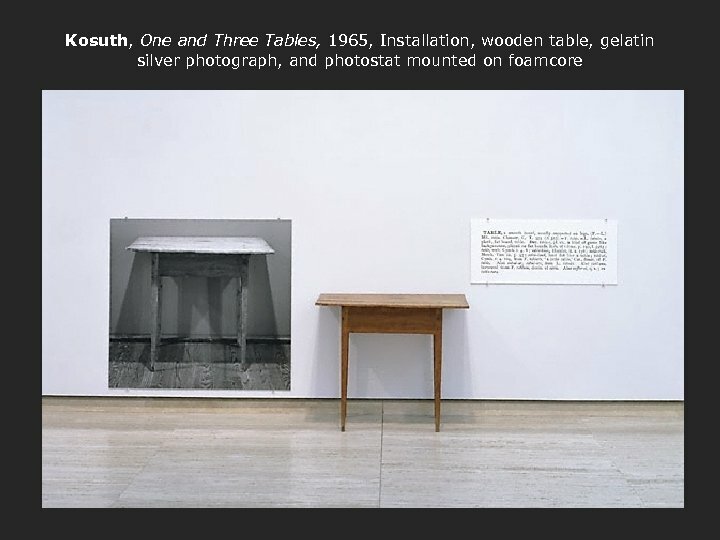 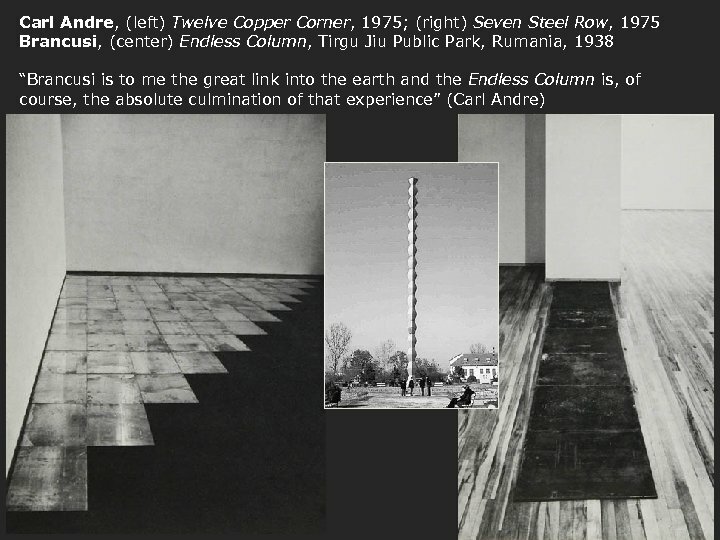 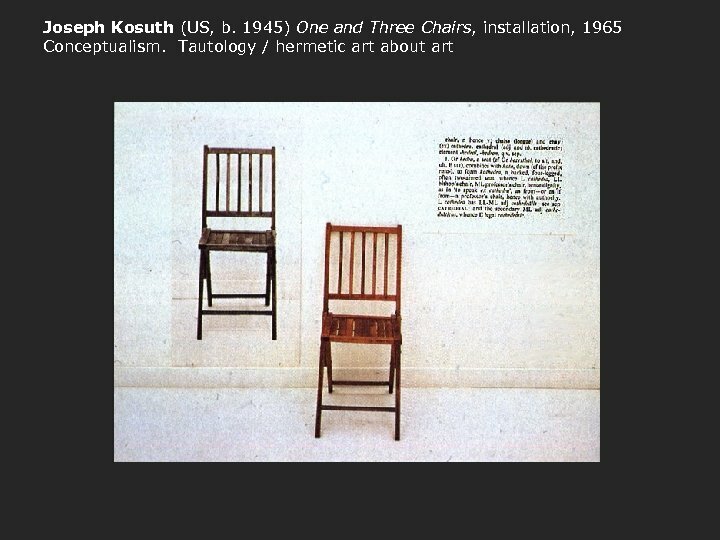 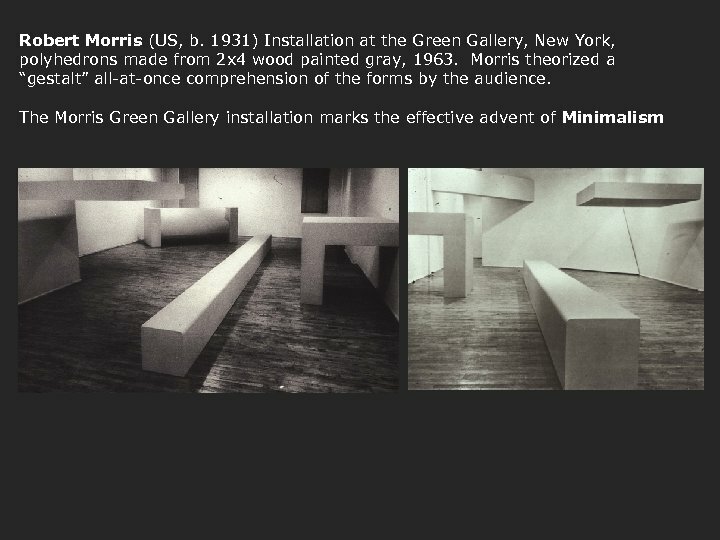 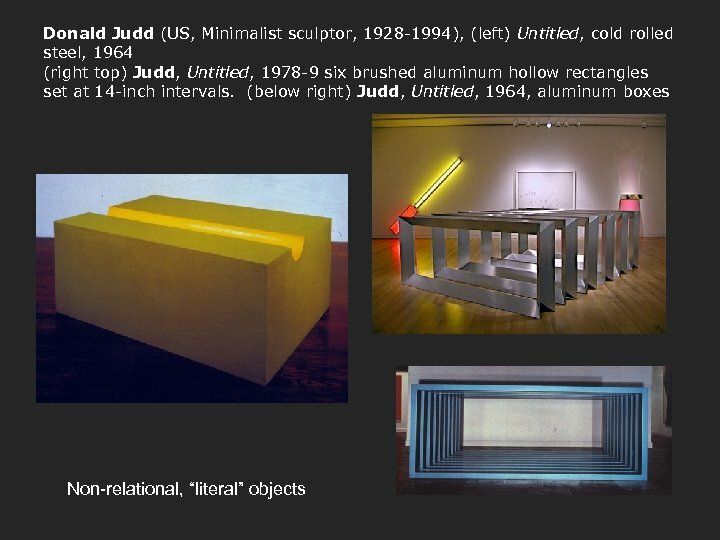 Nauman, South American Triangle, 1981, welded steel beams (each 165” long) and cast iron chair. 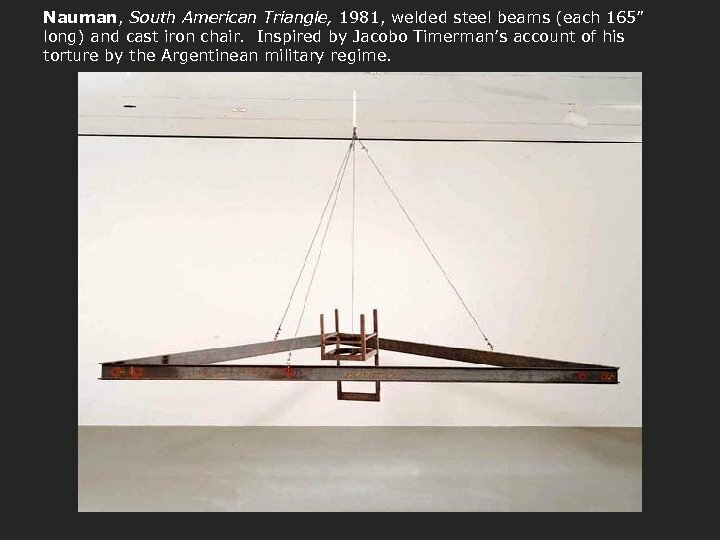 Inspired by Jacobo Timerman’s account of his torture by the Argentinean military regime. 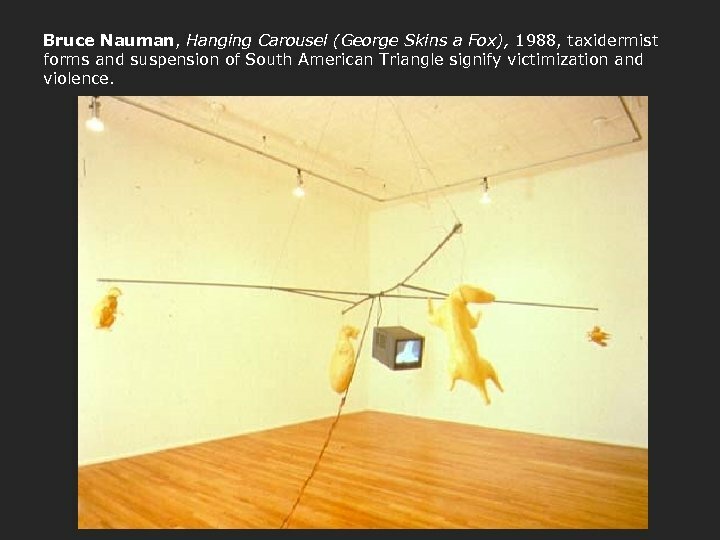 Bruce Nauman, Hanging Carousel (George Skins a Fox), 1988, taxidermist forms and suspension of South American Triangle signify victimization and violence.